Angela R. Bucci devotes her law practice to consumer bankruptcy law, counseling and assisting clients under Chapter 13 and Chapter 7 for individual persons, couples, and businesses. Her office brings over 40 years of combined experience helping her clients get a fresh start and finding solutions for the financially distressed who are burdened by credit problems, foreclosure, unpaid taxes, and other debt. Angela R. Bucci also handles loss mitigation matters, and regularly appears in Bankruptcy Court representing Chapter 13 clients seeking to reorganize, modify or eliminate their mortgages, or surrender their properties without tax consequences. Angela R. Bucci offers bankruptcy assistance to bring a most favorable resolution to your tax issues, money matters and financial challenges. An aggressive advocate in advancing her clients’ needs, Angela R. Bucci provides advice tailored to each individual client and can assist you whether you face the loss of your business, financial assets, home, or income. 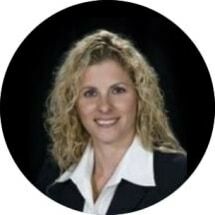 Angela R. Bucci is a Member of the Florida Bar and the U.S. District Court for the Southern District of Florida. In addition to her Juris Doctorate, Angela Bucci also holds a Masters of Taxation from the University of Miami.